Harrogate International Festivals invites schoolchildren on a musical global adventure this Half Term with free Global Villages workshops. Designed for 8-13 year-olds, Global Villages explores music from around the world, using the instruments, music and languages of different cultures, with the chance for children to create their own music. Workshops take place in Beckwithshaw, Ripon, Pateley Bridge and Harrogate. Moussa Dembele and Alai Sanfo run the interactive workshops for children to learn new music and skills; no prior musical experience is required. Moussa Dembele plays many African instruments as a music teacher. 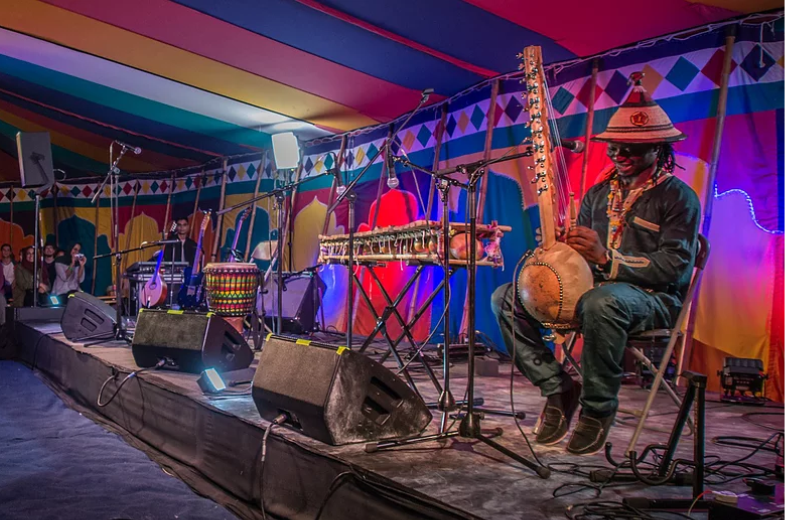 Born and raised in Burkina Faso in West Africa, Moussa comes from a family of musicians and craftsmen that have been producing traditional musical instruments for generations. Also from Burkina Faso, Alai Sanfo is a talented Djembe player and is passionate about promoting the rich cultural and musical traditions of West Africa. Global Villages is part of the HIF+ outreach and education programme, which works to deliver opportunities to engage with top class arts professionals, from published authors to passionate musicians. It offers creative ways to try something new, get involved or learn more about the arts. These workshops return this year with support from Arts Council funding. To book your free place, go to harrogateinternationalfestivals.com. Global Villages, Beckwithshaw: Monday 29 October, Beckwithshaw Village Hall, 10am-3pm. Global Villages, Ripon: Tuesday 30 October, Ripon Community House, 10am-3pm. Global Villages, Pateley Bridge: Wednesday 31 October, Bishopside & Bewerley Memorial Hall, 10am-3pm. Global Villages, Harrogate: Thursday 1 November, Bilton Community Centre, 10am-3pm.